Q: Vehicle in Workshop – URGENT PLEASE. I need to order a turbo, but don’t know what to order. On the housing I can see some identification marks, M33 WXLH 1-1/1 A/R.48 and on the other side it says Garrett. Do you know what turbo this is please? Alternatively, there is a section on the Enquiry page which allows you to upload a photo of your nameplate and we can help in identifying the correct replacement part. Q: We have a 2005 Merc Sprinter 2.2 CDi on ramp in workshop. Turbo does not operate, but looks in good order, no damaged wheels, no leaks etc. Looks like the electric regulator is not working as it doesn’t move at all. Tried to buy one from Garrett dealer but told they are not available. Why? Don’t want to change what appears to be a perfectly good turbo just because of a “black box” failure! Please help. Q: I’ve been told by one of your dealers that the electrical connector on top of the turbo controller is faulty, but because it was not a Garrett manufacturing error, it was caused by water and is not covered by warranty. This is the second time this has happened on this van, so our customer is not happy and is blaming us for doing something wrong. We fitted the turbo correctly, because we have fitted many over the years, so why do these keep failing and who will accept responsibility for this? Firstly source copies of the vehicle manufacturer’s service bulletins which detail water ingress to the engine compartment. This causes water to run onto many of the engine components causing corrosion of those components (you will notice this clearly) and in particular, water may get inside the wiring harness and run down into the connector block of the Linear Position Sensor on the turbo. If any of the seals on the vehicle wiring harness connector plug are missing or damaged, this will make the problem even worse. During heating and cooling cycles, the water can get drawn in via the connector pins and damage connector pins and/or the internal electronics. Secondly, the manufacturer’s bulletins also mention moisture collecting in the vehicle’s vacuum system. This also controls the turbocharger’s actuator (the controller for the variable vanes). In these cases, moisture can be drawn inside the actuator under vacuum and again it may destroy the electronics within. The bulletins include suggested modifications to the vehicle to prevent this from happening. 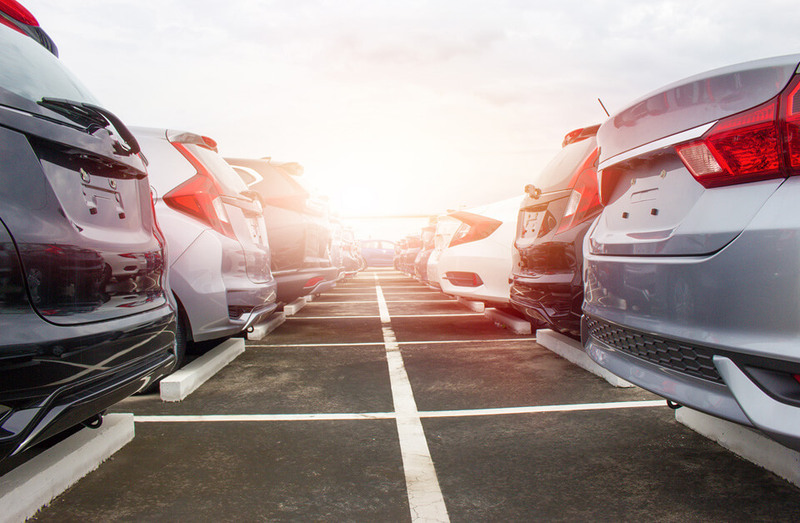 If you follow these vehicle manufacturers’ guidelines, hopefully your customer should have no more problems. Q: I’ve noticed that lots of turbos look the same from outside. Can I swap them over if they look the same? Turbos sometimes look identical from outside, but can have many different parts inside. These can give two seemingly identical turbos totally different performance and using the wrong one could lead to error messages, poor running, low power, emissions outside of specification or could even cause damage to the engine. To be sure, check your existing turbo part number (on the turbo nameplate) or vehicle details on our free to use Global Catalogue (a link is included on this website). If there is a safe alternative (called a Direct Service Replacement), it will be shown. If the interchange is not shown, then we strongly advise against it as using the wrong turbo could invalidate your warranty. Q: When I change my turbo, is it really necessary to change the engine oil and filter? I only changed it recently and the oil is very expensive! On some Forums, they tell you that it is not always necessary. Oil is the lifeblood of the turbo and clean, top quality oil of the correct grade is one of the most important factors to ensure your turbo has a long service life. If your turbo is damaged and needs replacing, it is quite possible that the oil has become contaminated and you should always change it and the oil filter before fitting a new turbo. Modern oils may seem expensive, but a few litres of the finest oil is much cheaper than replacing another turbo prematurely! Q: I’ve not replaced a turbo before, but I am an experienced, dealer trained vehicle technician and according to our vehicle notes, it appears to be quite straightforward. As the turbo manufacturer, do you have any advice for a turbo first timer? There are many very important small points included in the video which will help you to avoid an “early life failure” of the replacement unit. Q: I just fitted a new turbo for a good customer of ours and it is hissing and whistling like crazy! Is this normal, because the old one only started to do it just before it failed. I can’t return the car to him like this, so any help would be great! No, it is not normal. Loud whistling from a turbo normally indicates that something is wrong. When we assemble the turbo, we test every unit on a on a highly accurate balancing machine called a VSR (Vibration Sorting Rig) or a low speed balancer for very large Commercial Vehicle turbos. Any that exceed the tight OEM specification during testing are corrected. So the turbo would have been 100% line tested to OEM specification for noise/vibration when it left our factory. Did you diagnose the root cause of the damage to the old turbo? Did you correct any problems that you found? Did you follow all of the guidelines regarding priming the turbo, oil pipes, oil filter and pressure system with oil before start up? Did you also allow the turbo to run with the engine at idle speed until the oil pressure and flow was up to normal operating parameters? If you answered no to any of these, you may have damaged the replacement turbo and it will have to be removed and diagnosed by your supplier. Q: Hi Garrett, my customer has asked me to improve the performance of his car and it has one of your variable vane turbos. I have done tuning and re-chips before, but are there any changes I can make or adjustments to the turbo that will help? We strongly advise against making any changes to a production turbocharger. Our VNT (Variable Nozzle Turbine) turbos are precisely calibrated on turbine flow benches and then the actuators are calibrated, so every individual turbo complies with the OE specification. Any changes could upset the performance and running of the engine and upset the exhaust emissions. It could potentially also cause engine damage. We have some specialist companies who know all about Performance Turbos and contacting one of them may help avoid a lot of trouble! Q: We have a Golf V 2.0TDI 170 in our workshop for repairs and the turbo is broken. We know that the customer has a (removable!) re-chip. We hear all sorts of stories, but can a re-chip really damage a turbo? We don’t want to fit a new one if the guy is going to trash it again! What is the maximum safe speed of the turbo running in standard condition? Will the re-chip have any effect on the maximum running speed of the turbo? What will the maximum turbo running speed be after the re-chip? Will the warranty on the re-chip cover any damage caused to the turbocharger due to overspeeding? 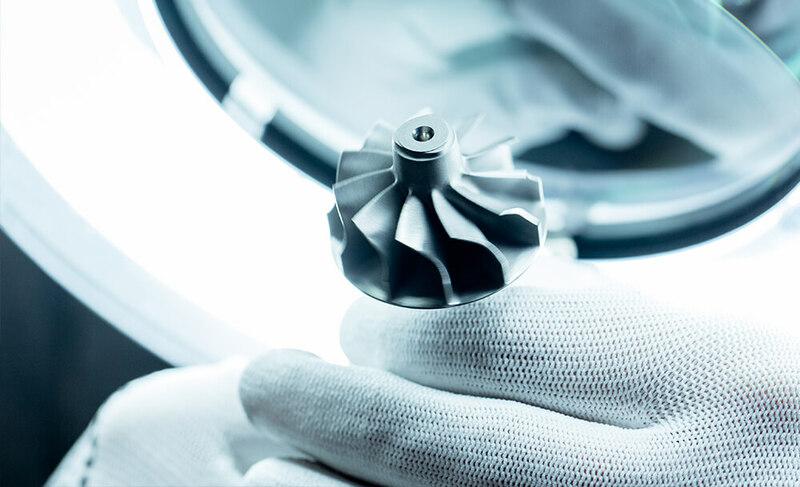 When we assess a turbocharger warranty claim, we often see very clear physical and metallurgical indicators of overspeeding of the turbocharger. However this can be indicative of over-fuelling; typically something that occurs when the engine has been chipped. Whilst we cannot always say exactly how it happened on the vehicle, evidence of overspeeding of the rotating assembly is often irrefutable.